Member Tanya Lin will be in Studio 17! Mark your calendars for Sanchez Studio Artists' Open Studios which will begin with a Preview Party on Friday, Nov 2, from 6 to 9 pm, and continue on Saturday, Nov 3, from 11 am to 5 pm. Twenty-seven artists will open their studios. 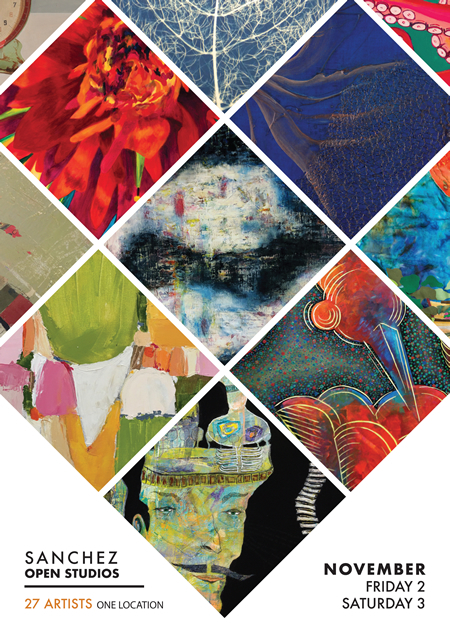 Come meet the artists, see their studios, and browse the artworks, which include painting, printmaking, jewelry, encaustic, sculpture, photography, textiles, and mixed media. Sanchez Art Center is located at 1220 Linda Mar Blvd, about a mile east of Highway 1.